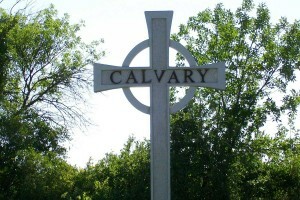 Custer County operates three cemeteries; Custer County, Calvary, and Old Calvary. All of these facilities are located along Cemetery Road just south of Miles City. The cemetery district is governed by a five person board appointed by the Custer County Commissioners. Their regular meetings are scheduled for the second Monday of February, April, June, August, October, and December. Meetings start at 5:00 p.m. in the Extension Office in the basement of the Courthouse. For questions regarding grave locations, lot purchases, monuments/grave markers, decorations, or anything to do with the cemeteries, please contact the cemetery office at the above contact information. Assistance is also available at the cemetery, Mon-Fri from 7:00 a.m.-3:00 p.m.